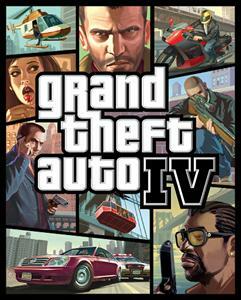 Grant Theft Auto 4(GTA 4) is the latest and advanced game in the GTA series developed by rockstar games. The games was released in april 29 2008 for ps3 xbox 360 and pc. GTA 4 is the high graphical game in GTA series where you need high definition graphic card to play in pc. GTA 4 is the best third person action adventure game ever released in the GTA series. The games has become more famous with its awesome gameplay and has already sold over 3.7 million copies in the first days of the video game game release. The story of the game takes place in the Liberty city, Newyork. Player will take the character named Niko Bellic who comes to liberty city for some enjoyment with his cousin Roman Bellic but he engages in some world of crimes and wars where the player has some interesting missions. The most interesting feature in the gta 4 is its open world gameplay where players can stole the cars and drive them where ever they want and are able to view some interesting places in the liberty city. players are able to buy wide variety of weapons from stores to use them against the enemies in different missions. Another important feature in GTA 4 is the multiplayer mode where you can play upto 32 players in pc through online. It also supports LAN system in the pc. GTA 4 comes with new soundtracks where you can listen the news,musics and other entertainment programmes while driving your vehicles in the game. In the game the players can regain strength or energy by eating some food which are available in the streets or in some restaurants. 1)Niko Bellic-Main Character in GTA 4. 2)Roman Bellic-Roman is the cousin of Niko Bellic who is living in Liberty city for 15 years. 3)Little Jacob-Role as Arm dealer in GTA 4. 4)Brucie Kibbutz-Role as Car and Helicopter mechanic and crazy about cars. 5)Vladimir Glebov-He also play the role of villain in GTA 4. 6)Jimmy Pegorino-Most important role as main villain in GTA 4. 7)Mallorie Bardas-Played the role as a girl friend of Roman Bellic, Nikos cousin. 8)Dimitri Rascalov-He play an important role of villain in the story.